The early morning rain (for a short while it had white stuff in it!) 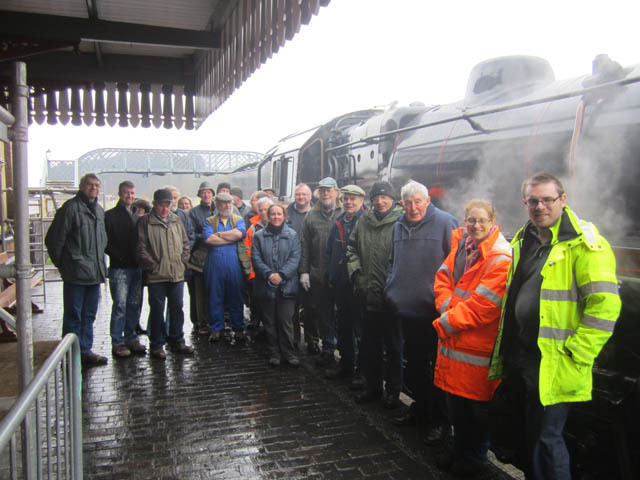 could not dampen the spirits of the 26 members due to take turns on the footplate. Members of the North Norfolk Railway looked after brilliantly and of course we shall be back for another helping in the future. 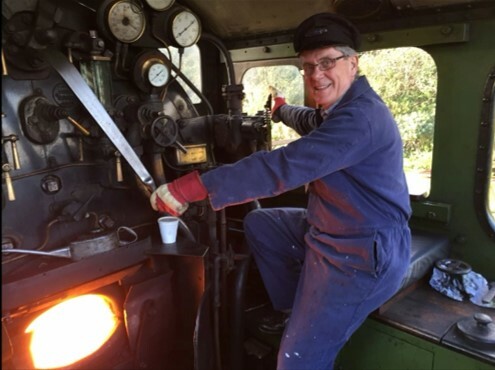 At Sheringham station aboard 61572 Paul is raring to go, he just needs the �right of way� from the guard. This B12 is the only loco to make it into preservation, the other 80 of this class were scrapped. 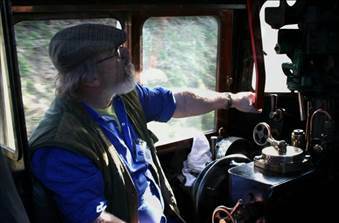 Martin checks the steam gauge as he adjusts the regulator as the loco heads for Holt. This mixed traffic loco was rescued from a South wales scrap yard in 1982 for a modest �7500. 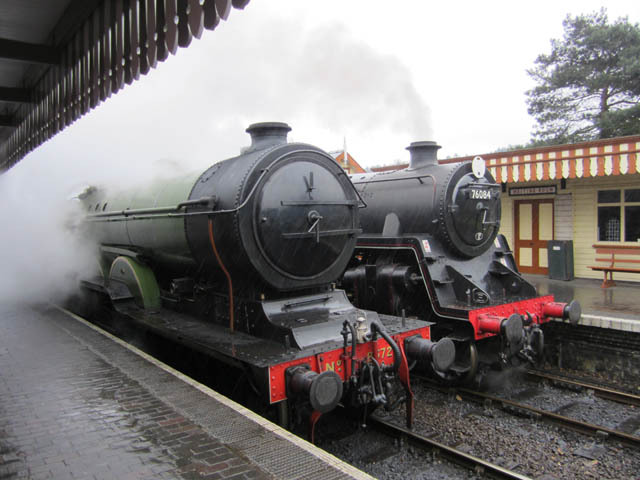 The locos fresh from the yard pose at Weybourne station at the start of the day, while most of our members were inside warming themselves by a large coal fire munching bacon butties. And on to Bressingham 2016.